These little cuties were given to me by one of my wonderful friends at work to cheer me up when I was feeling a little down this past week. Obviously, I only needed one look at the packet in order to become my smiley old self again. 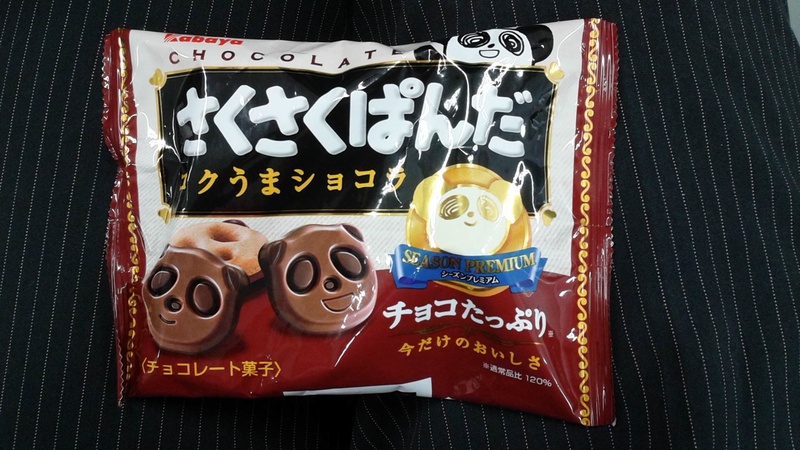 These adorable biscuits are manufactured by Kabaya, and usually come in a milk and white chocolate version, and can be found in most convenience stores. Occasionally though, they will have seasonal items such as these double chocolate ones, or green tea and white chocolate ones. 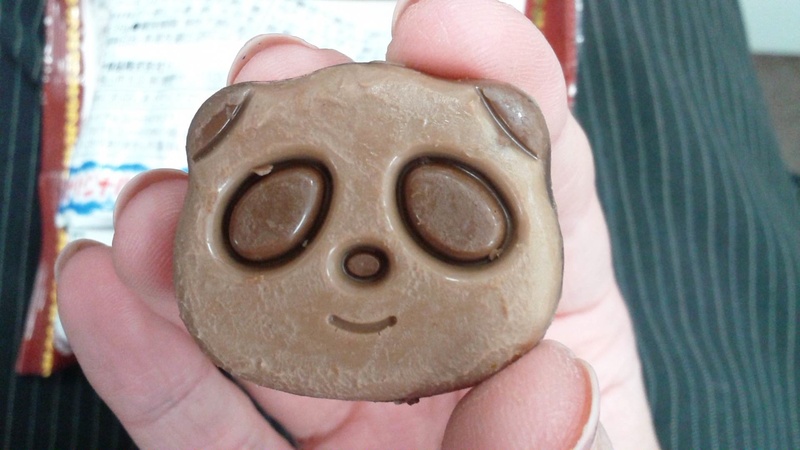 Each little chocolate panda is mounted on a plain biscuit, and each one showcases a different expression, which, I’m afraid, you will not be able to see as I scoffed them all after taking two photos. Ahem. In my defense, I was in a quite a flap and panic as they were melting a bit in my bag. They come in a lovely single-serving packet, so no guilt involved there at all. Saku saku is one of those wonderful onomatopoeic Japanese words that I love so much, and means crunchy, so the name of these fabulous biccies in English would be Crunchy Panda. I really can’t think of a more scrumptious, kawaii, and delightful snack to put in my mouth. Happy Divali to one and all, and I hope you are having a marvellous weekend. Look so delicious it makes me want to go buy some right now I love how cute snacks are in Japan! Me too 🙂 And I love the portion sizes as well. Too cute! My kids would love these as much as me!! I need to get my hands on these, when I visit Tokyo!!! Too adorable! OMG I cannot believe I found your comment just now! I’m SO so sorry 😦 I’m awful.